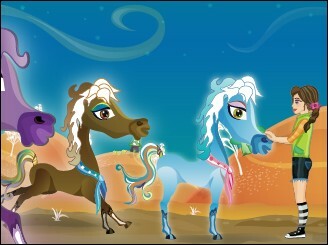 Run with Sandy, Rosy or Stella in this super fairytale racing with your pony. Here you will see some apples and need to pick up with your pony, to restore the energy level. You can also use magical power-ups to aid you in the race. Have Fun!